Walking into the hall for the Royal Adelaide Wine Show lunch I saw a space full of wine industry legends. I hardly recognised the place; the buzzing, festive atmosphere before me was in stark contrast to the palpable concentration and focus of the same place just a few days earlier. Whilst attending the Wine Communicators’ Wine Show Lunch on the last Friday of September, I took a moment to reflect on the immense amount of work required to bring the event into fruition. Specifically, the amount of wine that was moved from the bottle store to the tasting tables – wine poured just to be scored on colour and clarity, bouquet and palate. Numbers don’t really do the size of the show justice but to provide some context, here are a few: over 2700 entries, spanning 70 classes (and sub-classes), from 355 Australian wineries were judged, discussed and re-judged over a course of 4 days. More than 30 judges, 30 stewards and 20 back-of-house staff ensured wine was poured & tasted, glasses were rinsed, polished and refilled, and scores were collected. I found myself wishing had more time to observe the behind-the-scenes machinations as just peering into the room made me a bit giddy! A hushed utterance “this wine will change the way we look at Shiraz” and a calm but focused atmosphere dominated the day that I was stewarding. As this was the final day of judging, I was lucky to see all the sparkling and trophy wines go out to the judges – and see the leftover bottles come back to us providing the opportunity to try some spectacular wines while polishing the seemingly endless stream of glasses. Showground staff and volunteers, some first timers like me and some seasoned wine show veterans, made sure every wine made its way out to the judges without mistakes – can you imagine botching a line-up of 30 reds that for the untrained eye all look like, well, red wine? I meet a lot of so called ‘experts’ coming through when I’m pouring wines at cellar door, and I would love for all of them to see the real specialists at work. No unnecessary faff, a palate that doesn’t seem to get tired and quick recognition of what makes a wine amazing or not – I can only hope to train myself enough to get somewhat close to that level of professionalism. I did have a go at it, and attended the exhibitor tasting just before the show lunch. I have to admit that unfortunately my tasting abilities did waver after a handful of wines, and chatting to friends and colleagues took my focus away from what was in my glass. However, as I sat down for lunch, the range of gold star Chardonnays – from beautifully round and buttery through to citrus driven and tropical - and the handful of Grenache that I had tasted were still on my mind. How lucky was I to find that sitting next to me was this years soon to be awarded ”Legend of the Vine” Tony Love who was more than happy to discuss the trophy award winning Grenache as well as his take on the best wine bars in Adelaide. The lunch did not leave much time for chit chat as MC extraordinaire Nick Ryan made his way through a great list of prizes and trophies for each of the excellent wines in show. Strong classes included Shiraz (with 20 gold medals in the 2016 class), Cabernet Sauvignon (with 15 gold medals in 300 judged wines) and Chardonnay (the largest white variety and 17 gold medals in total). The grand finale was of course the presentation of most outstanding red and white wine, as well as the outstanding wine of provenance. On both a professional and personal level I felt like ‘we’ had won. As a new South Australian I was proud to see that the state I now call home had excelled taking out both the most outstanding red wine in show (Bleasdale 2016 Generations Shiraz) as well as the outstanding wine of provenance (Leasingham Classic Clare Shiraz). As a recent University of Adelaide graduate I was proud to see that the winemakers awarded with both these trophies, as well as the winner for the most outstanding white wine in show (Deep Woods Reserve Chardonnay 2017, WA) all call the same place their alma mater. In conclusion it seems that South Australia must be doing something right with their viticulture and oenology students meaning everyone wins as there is a tremendous amount of amazing wine to enjoy right here. 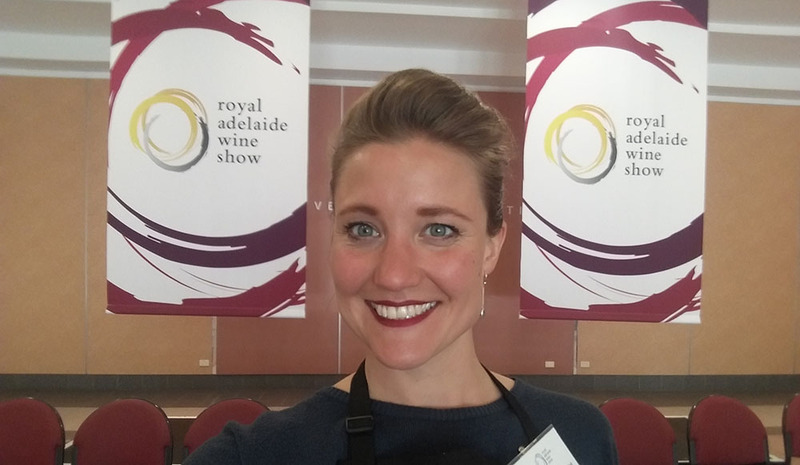 Written by Dr. Lieke van der Hulst who is the WCA Wine Media Cadet in 2018 and is also an avid wine enthusiast, science lover, and communicator.